It is hard to imagine a tragedy worse than an Airplane Crash. One of the most difficult things for families trying to cope with such a tragedy is the process of attempting to find out what really happened. After a plane crash, the victims’ families will learn that the National Transportation Safety Board (NTSB), the agency in charge of investigating these incidents, invites only those parties whose products were involved into their investigation – like the operators, manufactures, maintenance facilities, and others – and excludes the families who have been harmed or who have lost loved ones from the investigation process. At Bachus & Schanker, LLC in Colorado, our experienced Aviation accident attorneys can help the families of plane crash victims. An Aviation accident may be caused by pilot error, equipment malfunction, defective parts, faulty maintenance, or poorly designed aircraft. Most airplane or helicopter crashes involve privately-owned and operated aircraft, not commercial aircraft. Unlike the major airlines or commercial aircraft companies, private aviators only have to use reasonable care towards passengers to prevent injury rather than the heightened professional standard of care that most commercial carriers have to use. Therefore, the federal regulations and safety standards in place for large commercial aircraft do not apply to smaller general Aviation operators. While pilots of both private and commercial flights have to operate the aircraft with the skill of an ordinary, qualified pilot for that particular aircraft, the maintenance requirements, inspection duties, training requirements, and safety measures for each aircraft may be different and may contribute to the higher number of private plane crashes. Litigation involving airplane and helicopter crashes can be very complex and will often involve numerous parties. 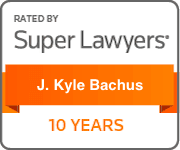 Therefore, it is critical to consult with the experienced team at Bachus & Schanker, LLC in Colorado immediately upon learning of a plane crash. Our Aviation accident attorneys can help individuals throughout the country determine what factors caused or contributed to the accident and file a wrongful death claim for surviving family members. Aircraft accident law can be complicated, and as a result it is important to retain a law firm prepared to help you through the process of determining what really happened and who is responsible. After an aviation accident has occurred, our team of attorneys and investigators will work as quickly as possible to preserve the wreckage, interview witnesses, evaluate liability, identify jurisdictional issues, and protect you and your family’s rights during interviews with authorities and insurance representatives. At Bachus & Schanker, LLC in Colorado, our Aviation accident attorneys will also act immediately after a plane crash to collect crucial radar information and preserve all air traffic control recordings. It is important to start the evidence collection process as soon as possible. If our investigation is delayed, it is much more difficult to locate and preserve the evidence and witnesses needed to reconstruct the Aviation accident and prove what really caused the plane or aircraft crash.